One or two note “yew” whistle. Description: Sexes similar. Long bright yellow legs distinctive. 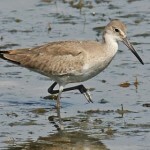 Straight, thin dark bill that is shorter than Greater Yellowleg’s. Dark brown with white spotting above; white below with heavy breast and neck streaking, belly and rump clean white. In flight shows all dark primaries. 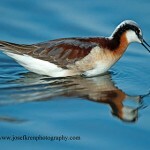 Habitat: Migrants can be found on ponds, marshes, creeks, mudflats, and flooded fields. 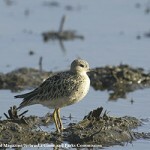 Field Notes: Usually more abundant than Greater Yellowlegs during migration. 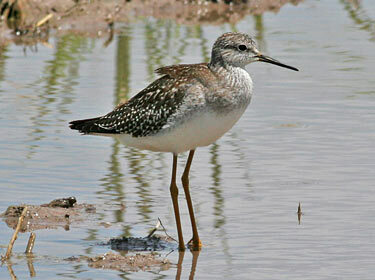 Fun Facts: Lesser Yellowlegs swing their bills back and forth in the water to help stir up insects they eat.